We think and do best together when we embrace diverse people and perspectives. To successfully solve the grand challenges in our world, we must ensure that our engagement builds on the accessibility and inclusion that furthers innovation and excellence at NC State. The ability to successfully interact with people of different backgrounds and recognize differences in experience. 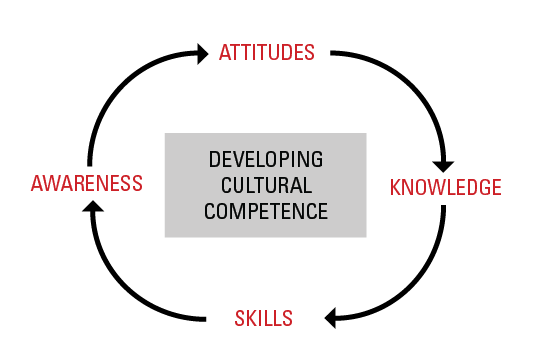 Being culturally competent is a continual process that involves an ongoing critical examination of one’s attitudes, awareness, knowledge and skills in order to negotiate cross-cultural differences to complete tasks and/or create positive living, learning and working environments. Who are you? What forms your perspective? Self-examination of one’s own biases towards other cultures and the in-depth exploration of one’s cultural and professional background. Recognition of aspects of your identity that form your lenses of knowing and understanding your own culture, as well as knowing what other cultures exist. Reflection on your reactions to and interpretations of people who are of a culture or background significantly different from your own. Recognition of prejudices and stereotypes that can create barriers for learning and personal development. Exploration of values, belief systems, phobias and one’s adherence to individual cultural norms that impact cross-cultural effectiveness. Analysis of the extent to which we are open to differing views and opinions. The stronger we cling to these variables the more likely we will experience cross-cultural challenges when they collide with cultural differences. What do you know about others? Once you begin to integrate all four components into your day-to-day behaviors your degree of cultural competence will increase dramatically. 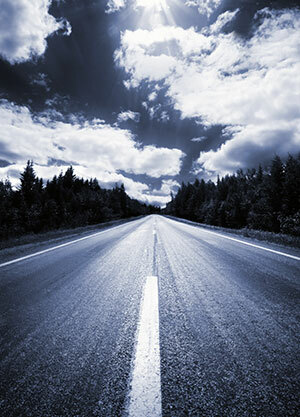 By being aware of your internal learned biases, having an attitude that reflects a desire to deeply understand your own behavior, showing a high degree of knowledge of the subject and implementing the skills of cultural competency, you will soon move from the realm of theory and learning to that of active practice. As the world becomes more global the need for a high degree of cultural competence will only grow and in very few (in any) fields will this not be an important trait. Developing your own cultural competency will help you to become more effective in your work at the university. At the structural level, cultural competence is reflected in an awareness of the relationship between social expectations about knowledge and values and the public policies and practices that shape, define and limit both what is accepted and allowed and how individuals and groups have access and opportunity. 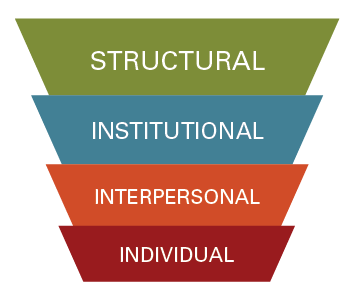 At the institutional level, cultural competence is reflected in an understanding of the way social institutions (family, school, church, media, criminal justice system, government, etc.) help to shape and reinforce social norms and expectations related to shared knowledge and values, an understanding of the way social institutions and contemporary cultural issues have been impacted by historical factors, and an ability to engage thoughtfully in critical conversations about those cultural issues, the contributing historical factors, and the differing impact on individuals and groups relative to their respective social positions and identities. At the interpersonal level, cultural competence is reflected in an awareness of the differences in the way others think and believe, an appreciation for that diversity of thought and belief, and an ability to engage effectively and respectfully with people who think and believe differently than you. At the individual level, cultural competence is reflected in an understanding of your own values and how those values influence your thoughts and actions. Cultural competence is never an end point; it is an ongoing process of intellectual curiosity, intentional learning and critical thinking about cultural issues and conversations in order to understand the issues of the society in which you live, why others have different views on those issues, how those issues impact you in the same or different ways than others, and how to work and engage in critical dialogue with others in a way that is thoughtful, respectful, and productive. an ongoing process of intellectual curiosity, intentional learning and critical thinking about cultural issues and conversations in order to understand the issues of the society in which you live, why others have different views on those issues, how those issues impact you in the same or different ways than others, and how to work and engage in critical dialogue with others in a way that is thoughtful, respectful, and productive. Cultural competence benefits the university, individuals, groups, communities and societies by increasing the capacity for meaningful interpersonal interaction and cross-cultural understanding within the context of an increasingly globalized society fraught with both domestic and international tension and conflict. Culturally competent students, scholars, employees, supervisors, public servants, and politicians possess the skill to help create more inclusive and welcoming living, learning and working environments and to question and challenge attitudes, actions, policies and laws that are discriminatory or exclusive. The value of a commitment to increasing and reflecting cultural competence is that it enables you to better understand yourself in relation to others, to better consider the perspectives of others, and to work and interact with others in a way that creates a context for deeper understanding, mutual respect, and diverse perspectives that can lead to innovation and more effective problem solving.